On a sunny, cold day last weekend, throngs of people descended upon the Brooklyn Expo Center for Time Out New York’s annual Mac and Cheese Smackdown. Fifteen restaurants from across the city were assembled and ready to dish out every possible variety of the gooey, cheesy classic, from fried balls of the stuff to a kimchi and bacon rendition. 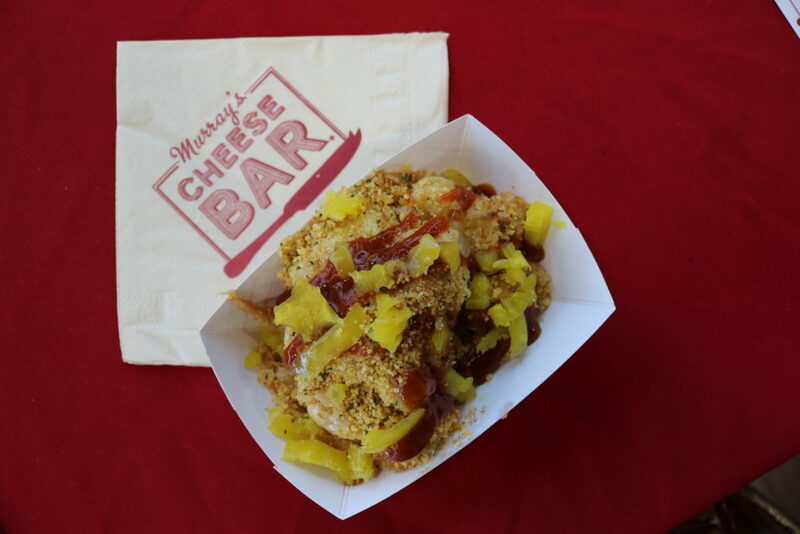 While the options were seemingly endless, Murray’s Cheese Bar emerged as the crowd’s favorite, winning the coveted People’s Choice award. 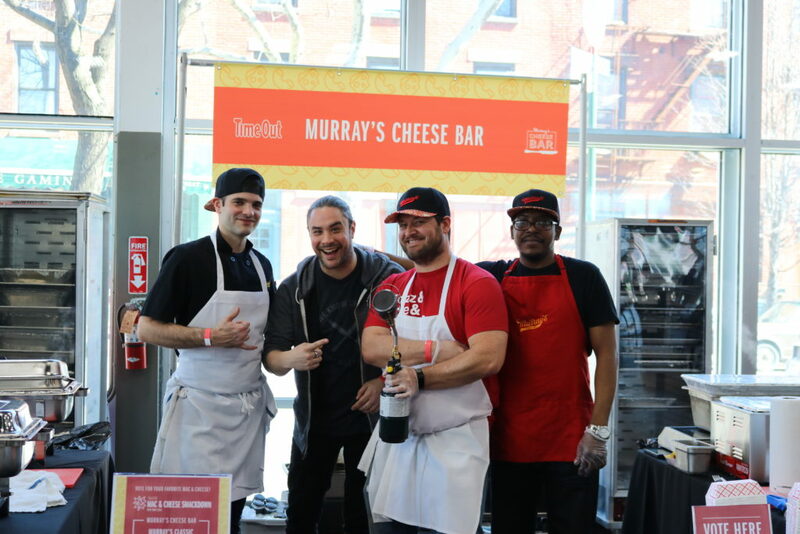 A crack team from Murray’s—Jake Goznikar, David Elkins, Jamar Terry, and Brian Fitts—served over 1,600 portions of mac, offering up two styles: Murray’s Classic Mac and Cheese and a new Pulled Pork Mac and Cheese that the team created specifically for the event. “We wanted to serve our Classic Mac and Cheese, because that’s everyone’s favorite,” said Jake, the GM of Cheese Bar, “but we also wanted something a little more unique to go alongside it.” Filled with tender pulled pork and a smoky tomato-based barbecue sauce, and then topped with a cornbread crumble—all house-made, of course—the Pulled Pork Mac and Cheese was the standout hit of the event. Each eventgoer had the opportunity to vote for their favorite Mac and Cheese with a ticket that they placed in a ballot box sitting on each restaurant team’s table. “We got a lot of great feedback—people kept coming back and saying it was the best Mac and Cheese they’d ever had, so we knew we had as good a chance as anyone else to win”, Jake said. Murray’s got out to an early lead, and by the end the box had been completely filled. The people had spoken, and they chose Murray’s. Didn’t have a chance to make it out to Brooklyn and taste the now award-winning Murray’s Mac and Cheese? Fear not. If you live in New York City, you can pick up our Classic Mac at our New York retail shops to bake in the comfort of your own home, or you can get it hot and bubbling down on Bleecker Street at Murray’s Cheese Bar. Additionally, the response at the Smackdown was so great for the Pulled Pork Mac and Cheese that Jake decided to add it to menu at Cheese Bar as a special. And for those who can’t make it into Cheese Bar, we’re sharing the recipe on our website, and you can check it out right here. Your recipe doesn’t mention when you used that beautiful Searzall in Brian’s hand!